In an industry first, Chevrolet today announced that they will be organizing one week long nationwide Chevrolet Complete Care Body & Paint Camp starting September 23, 2016. 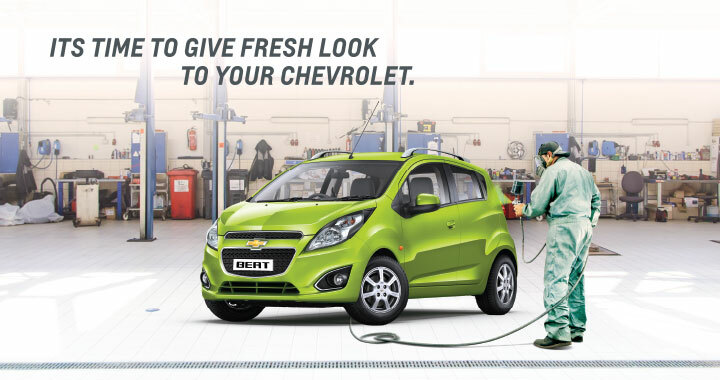 This is a first of its kind customer initiative that will benefit Chevrolet customers across India. The initiative will be happening at around 150 locations across India simultaneously. The camp will provide a great opportunity to the customers to address get upgrade their car appearance, specifically by attending to minor dents & scratches. The camp will offer customers benefits including up to 25 % discount on painting charges, free underbody inspection along with attractive discounts on anti-rust coating, body polish, interior cleaning as well as a 5% discount on all body parts. To support customers of older car lines such as Opel Corsa, Aveo, Chevrolet Spark, Chevrolet Optra, Chevrolet has reduced prices by up to 70 % for specific body parts which are more prone to damages. quoted Markus Sternberg, Vice President Chevrolet Aftersales India. Chevrolet Complete Care Body & Paint Camp concludes on 30th September 2016.